Original, creative photographer specializing in fine art flower blossoms, weddings and other events, portraits, glamour images, and desert landscapes. 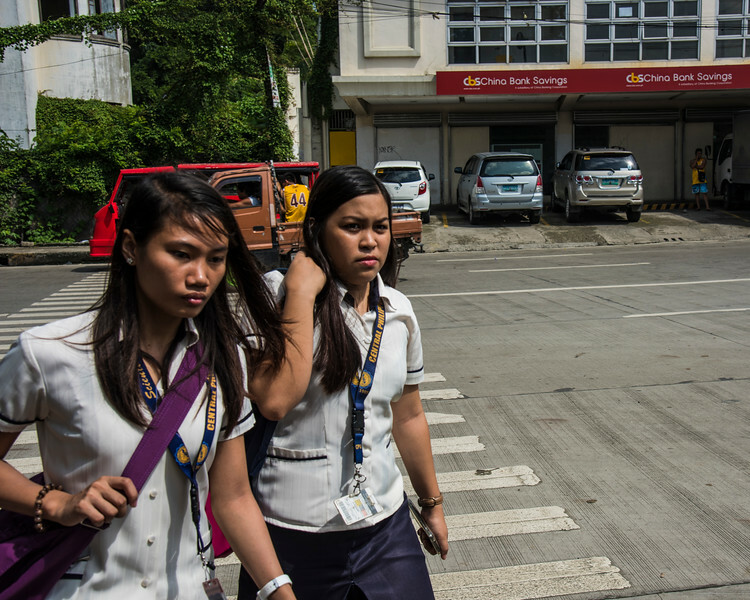 These young ladies in Iloilo City seemed friendly enough, until I pointed my camera at them. Las Vegas photographer Wess Nibarger creates striking images of what he sees, whether the subject is floral, landscape, or human. Wess utilizes light, shadow, color, and background to illicit a response of appreciation from the viewer of the image. His high resolution images are suitable for print on canvass, metallic, or any other medium. Spend some time exploring the galleries of One World Photo and experience the unique soul and appreciation for yourself! Begin your exploration in the Floral Gallery. Wess calls the floral fine art his "serenity shooting," which is a perfect description of the feelings evoked by each image. These photos make perfect prints to display anywhere, and will become an integral part of the "feel" of the environment there. You will have something unique and original to decorate your office, spa, salon, or somewhere in your own personal space. Don't miss the Nevada Landscapes Gallery. A lot of folks think Las Vegas is surrounded by nothing but rocks, dirt, and scrub brush, but there is more, so much more! The landscape images demonstrate Wess' skill in capturing, for example, the awesomeness of a small mountain nearby while targeting the detail of an old wood fence post in the foreground. It makes one feel as if they could actually walk into the photo, or reach out and pick up a rock from rustic path. These are just a couple of examples of the galleries here at One World Photo. Please feel free to browse and enjoy! Wess is also available for portraits, events, pets, and on location commercial photography of hotels, resorts or homes. Welcome to One World Photo!